For as long as there have been science fiction writers, there have been attempts to locate the start of the genre. There are basically three approaches to this. The first is to trace the line of descent through science-y fantasies. Those who prefer this approach point to Lucian’s True History (a 2nd century Latin prose tale that features a voyage into space) or look at vaguely sciencey elements in other ancient sagas (like the flying machine in the Ramayana). Then there are those who prefer the line of descent through utopian / dystopian literature: stuff like Thomas More’s Utopia or Swift’s Gulliver’s Travels. And, finally, there are the ones who prefer to trace the line of descent through the scientific romance: a genre that includes the works of Poe, Mary Shelley, Jules Verne, H.G. Wells, etc. I find that the most commonly cited “first science fiction novel” is Mary Shelley’s Frankenstein. Of course the whole game is a little silly. Science fiction is related to every work ever written. For instance, one can look at Don Quixote and at the prose romances that it’s mocking and see the skeleton of the adventure plots that so many SF novels have. One can look at Robinson Crusoe and Journal Of A Plague Year and see that they are just as fascinated with technical detail as many SF novels are. Further, this game of tracing SF’s line of descent often seems to arise out of a sort of inferiority complex. But art isn’t some kind of hereditary nobility; an art form doesn’t need to have an ancient line of descent in order to be worthwhile. The novel, as a form, has extremely few classical antecedents, but that hasn’t stopped it from taking over the world. In a way, these differences of opinion say a lot about the definer’s priorities. People who are more interested in the aesthetics of science fiction—the tropes, the gadgets, the modes of description—might have no problem seeing science-fictional elements in the Ramayana. In addition to the flying machine, the various weapons of the Ramayana are often described in terms more technological than magical. Others, who are more about the speculative aspect of science fiction might see Utopia as a perfect example, despite its lack of technological trappings. And those who see science fiction as being primarily about working out the effects of technology on society and human relations might easily see Frankenstein as the first SF novel. I’ve always been kind of skeptical about the science fiction content of Frankenstein. I wasn’t sure how it was different from every other old novel that had a monster. But that was just because I had never read it. I have to say that if you squint, you can kind of see it. There is a sort of science-fictional element to the novel. It’s not in the animation of the monster. The animation itself is a little silly. 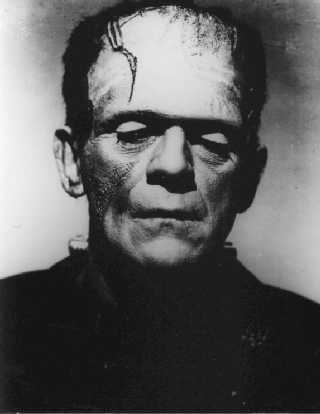 Frankenstein is a scientist who suddenly discovers the secret to life and then he makes a monster. That part is kind of silly. The science-fictional bit is in the concern that the novel has with details. After creating it, Victor Frankenstein abandons the monster. It runs away and then meets up with Victor about two years later. The first thing it does is explain how it learned how to talk (and talk in a fairly elevated manner, too). The story is a ludicrous (but kind of sweet) story about observing a French family in secret. The point is, though, that the story is very concerned with answering a question that any SF reader would ask almost reflexively. This continues on other points. For instance, when Victor considers creating a female monster, he starts thinking up all these hypothetical situations, like how these monsters might run amuck and bedevil the human race or how the female monster might find the male monster repugnant and madden both creatures further. The story is also concerned with establishing a sort of schema for human nature. The monster isn’t a monster at all. He’s in every way a human being, just a really huge and powerful one. The monster starts out as a well-meaning person, but is corrupted by human indifference and cruelty. In the end, it’s his loneliness that drives the beast mad and turns him into a monster. So there is a sort of science-fictional smell to the novel, but I don’t even know why I spent so long talking about that. The thing that was most surprising to me about Frankenstein is how much better and more complex it was than the dumbed-down Frankenstein plot I had in my head (mad scientist assembles corpses to create stupid monster; stupid monster reaches out and tries to befriend village woman; villagers get mad and lynch monster with pitchforks and fire). I think that the plot I just cited is basically the one from the 1931 movie adaptation with Boris Karloff. This story is really different. First of all, it starts off with Victor Frankenstein pursuing his monster on sleds through the arctic. I found Frankenstein, with his scientific obsessions, to be fairly interesting, but the absolute best part of the story was when the very urbane (and sociopathic) monster takes over the narration about halfway through and starts relating his own story. In the various movie versions, you’re supposed to feel the same pity for Frankenstein that you’d feel for a rabid dog, but the book draws out that sympathy and then brutally undercuts it. In the end, I was surprised at how rich the book was, and how many pleasures it had to offer. Whether it’s science-fictional or not, it’s definitely worth reading.